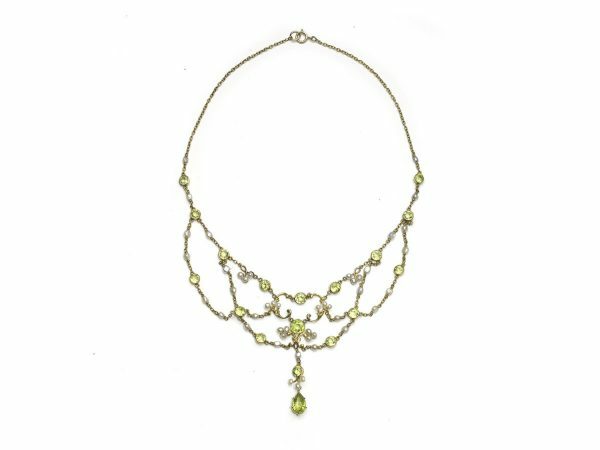 An antique, Edwardian, peridot and natural pearl, swag necklace, set with 17, round faceted peridots, in rub over settings and 1, pear shape peridot in a claw setting, with natural pearls set on scroll decoration and on trace chain, mounted in gold. D 14.97 in. x L 14.97 in.